We are the leading manufactures and suppliers of Fly Ash Brick Making Machine in Coimbatore, Mettupalayam,chennai,Salem, Tirupur, Pollachi, Trichy, Salem, Erode, Madurai, Tirunelveli , Chennai, Nagarkovil, Kanniyakumari,Tuticorin, Namakkal, Vellore,Theni, Dindugul, Ooty, Kunoor, Valparai, Kodaikanal, Kannur, Kozhikode, Malappuram, Palakkad, Wyanad, Kasargod, Kalpatia, Thrissur, Eranakulam, Iduki, Kootayam, Alapuzha, Kollam, Thiruvananthapuram, Patmanathitta, Kurnool, Anantapur, Cuddapah, Nellore, Chitoor, Prakasam, Guntur, Krishna, West Godaveri, East Godaveri, Vishakapattinam, Chikmangalur, ChitraDurga, Hassan, Tumkur, Mandya, Bangalore, Kodagu, Mysore,Kolar, jaipur, sikkar, Delhi, Rajkot, Srinagar, Tamilnadu, Karnataka, Andrapradesh, Kerala, ArunachalPradesh, Assam,Bihar, Chhattisgarh, Goa,Gujarat, Haryana, Himachal Pradesh, Jammu and Kashmir, Jharkhand, Madhya Pradesh, Maharashtra, Manipur, Meghalaya, Nagaland, Odisha, Punjab, Rajasthan, Sikkim, Telangana, Uttar Pradesh, Uttarakhand, West Bengal, Andaman and Nicobar Island, Chandigarh, Lakshadweep, Puducherry and India.. Established in the year 2006, we, “Everon Impex”, are an ISO 9001:2015 certified firm and counted among the illustrious organizations, engaged in manufacturing, supplying, exporting and trading Construction Machines. The range offered by us encompasses Designer Block Making Machine, Concrete Mixer Machine and Cover Block Making Machine. All these machines are manufactured with the aid of modern machinery and cutting-edge technology that is installed at our infrastructure facility. Apart from this, we are engrossed in offering repairing and maintenance services to our customers. 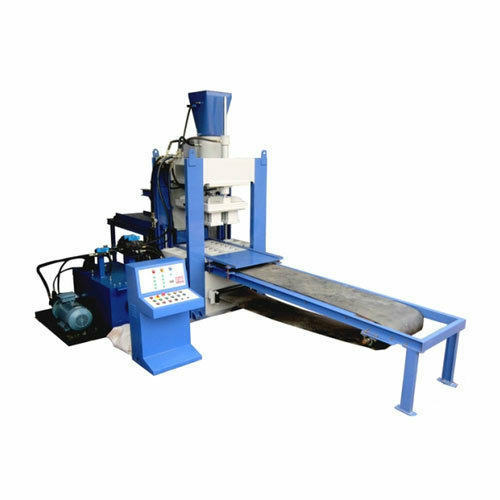 To manufacture these machines, we make use of optimum-grade materials and basic components that are sourced from the authentic vendors of the industry. Extensively demanded for education institutions, individual houses, textile mills, rice mills, villas, apartments, our offered machines are appreciated across the national and international markets. Owing to our ethical business policies, we have mustered some of the prominent customers like Srinivasa Associates, Peelamedu, Coimbatore, Tamil Nadu, Karthick Blue Materials, Chennai, Tamil Nadu and M4 lines Hyderabad, Tamil Nadu.